Polycystic ovary syndrome is the most common hormonal problem affecting women before menopause. It is estimated that 5 to 7 million women in US alone suffer from this problem. Polycystic ovary syndrome or PCOS is characterized by hormonal problems leading to irregular menstrual cycles, increased hair growth and cysts on the ovaries. It also causes acne problems and thinning hair or even partial baldness. The cysts that form on the ovaries are fluid-filled bubbles containing eggs unreleased during ovulation because of the hormonal imbalance. The bubbles are called follicles and they are pearl-sized and usually clustered together. Normally, ovaries and adrenal glands in healthy women produce small amount of male hormones called androgens, but in women with PCOS the production of this hormone is increased. Higher production of androgens leads to disturbances in ovulation and menstrual cycle. The cysts containing eggs, instead of maturing and being released, build up in the ovaries, causing problems. PCOS affects several body systems, not just the reproductive system. It increases the risk of heart disease, diabetes and some types of cancer. It also makes it difficult to become pregnant, because ovulation patterns are disturbed. Because of all the problems this disorder implies, women with polycystic ovaries easily become depressed or anxious. There is still no definitive cure for polycystic ovaries, but certain lifestyle and dietary changes seem to improve the condition. Even the fertility problem can be successfully solved. Polycystic ovary syndrome seems to be an inherited disorder. The risk of suffering from it is increased if the mother or the grandmother have suffered from it. In that case, it is recommended to take certain steps that can reduce to some extent the risk of developing polycyctic ovaries. However, it is best to adopt those measures as early on in life as possible, ideally before the first menstrual period. However, the problem is that there is no definitive way to prevent polycystic ovaries. Generally, trying to stay as healthy as possible is the key. The diet should be well-balanced, low in saturated fat and in processed sugar, and high in dietary fiber and essential nutrients. Women who have already been diagnosed with PCOS should make sure to have regular check-ups, to monitor their blood sugar levels, blood pressure and cholesterol. It is also essential to visit the gynecologist and the endocrinologist on regular basis. Polycystic ovaries can be managed, especially if diagnosed early on. Periods Lasting Only One Day? What is Aging Male Syndrome (AMS)? 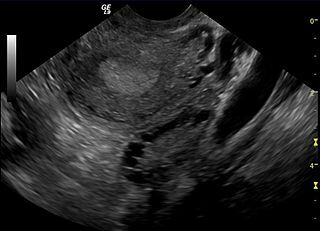 Could ovarian cancer be mistaken for polycystic ovaries ? Diane pills benefits vs. side effects? Anyone have Polycystic Ovary Syndrome PCOS? Endometriosis 55 - What is Endometrial Unilateral Oophorectomy ?